Many teachers struggle to quantify abstract ideas like student behavior. 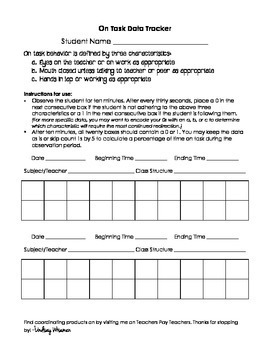 With an increasing focus on reducing discipline issues through student engagement, classroom behavior management is becoming more data driven day by day! 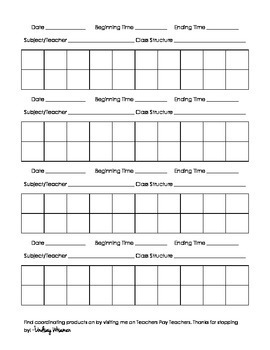 This behavior tracker provides an easy method for gathering and recording quantitative data about student behavior. Please contact me with any questions!